Here are a few photos of my current coop project- the SuperRun. 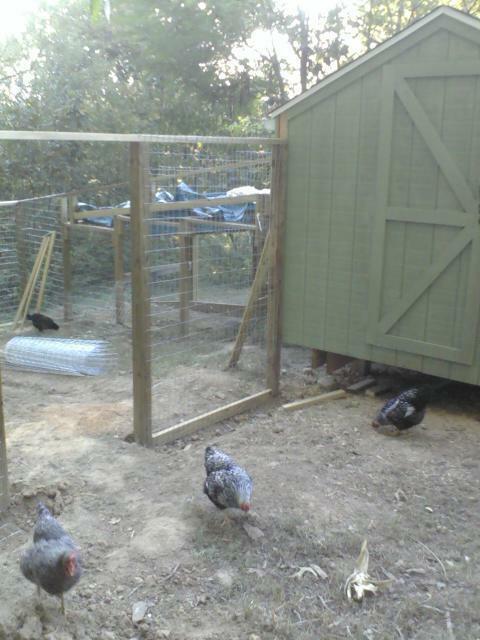 The run the girls have recently been using is only 5x16 and is attached to half of my coop. I wanted something bigger but due to funds, I have been having to piece build it. 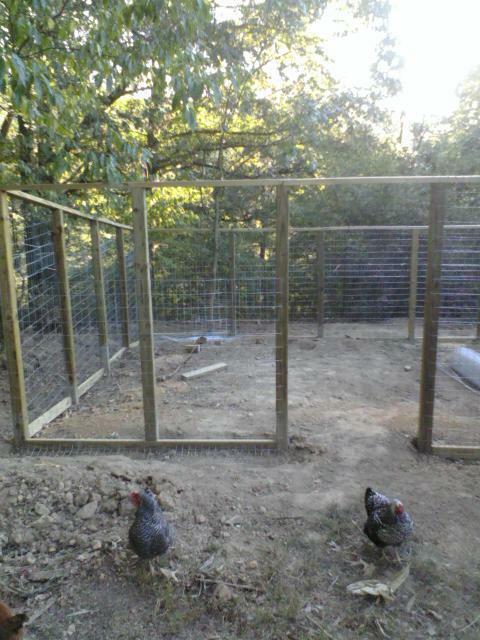 Its slowly taking shape but it has to be strong to keep out the hawks and other predators in area, but give the girls plenty of room to move around. 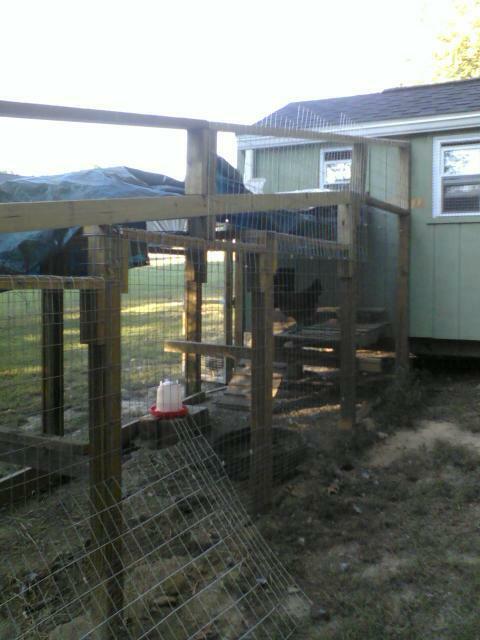 This is my safety setup for my main entry door to the coop. 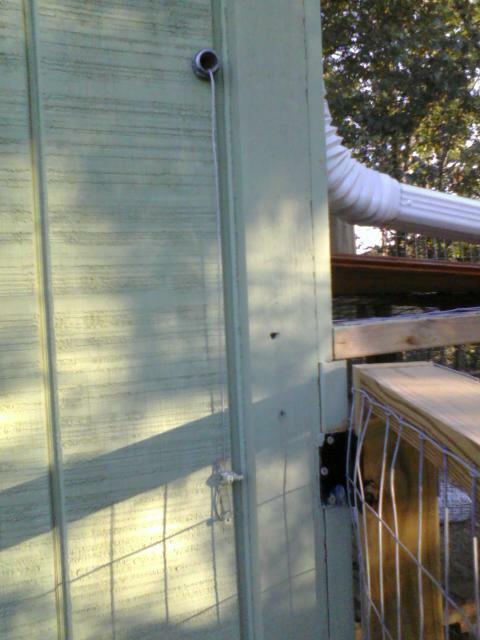 Before I had the wire attached while I was building the coop, a gust of wind closed and latched the door with me in the coop. I ended up squeezing out the cleanout opening which was a tight fit. On the inside, I have another loop to pull on to open the latch if it ever closes on me again. This is my set up to open the run door from the outside. The door is supported my barely loose wooden slides to hold it in place. 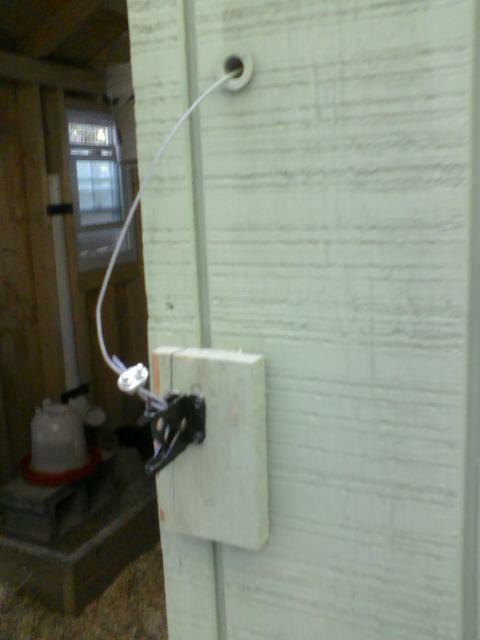 When I pull the wire (pic 2), I attach it to the screw to hold it in place. 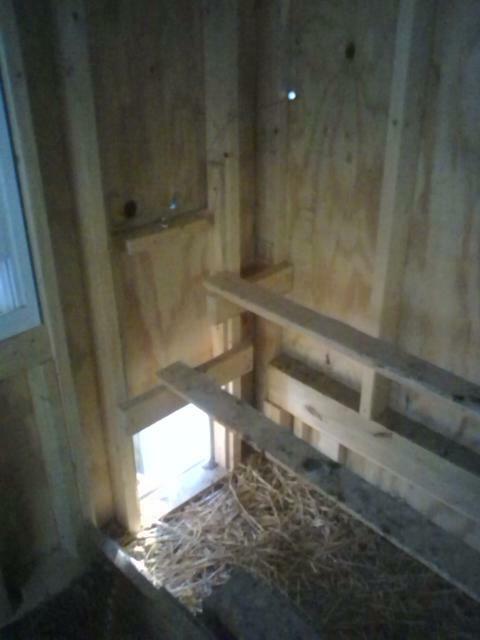 There is an eye hook on an angle inside the coop to help the door slide when I pull the wire. When I need to close it, just hold onto the wire and slowly drop it down. 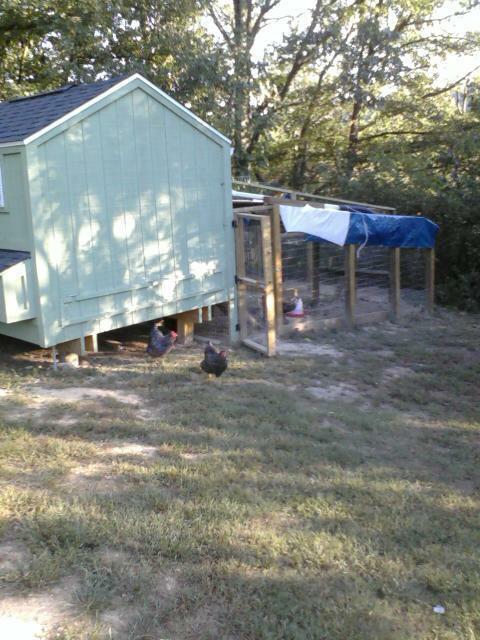 I can look in the run and the door to ensure the girls are all in the coop when its bedtime. This is the side of my current 5X16 run. I plan to do the same setup for the SuperRun side. 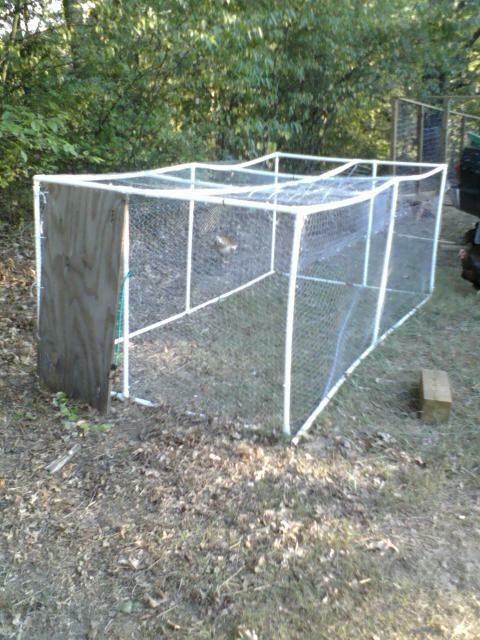 My only attempt at a chicken tractor. 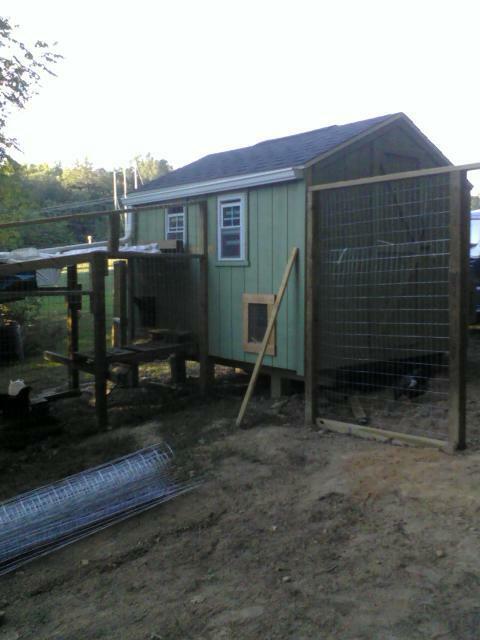 I made it out of 1 inch pvc, some leftover chicken wire and a piece of plywood for a door. It was covered with a tarp that was ziptied to keep it from flying off, but you can see what happened. The rain weighed it down in spots and caused problems. It was also hard to get the girls in and out. That is why I started free-ranging on my days off and when I get home from work. 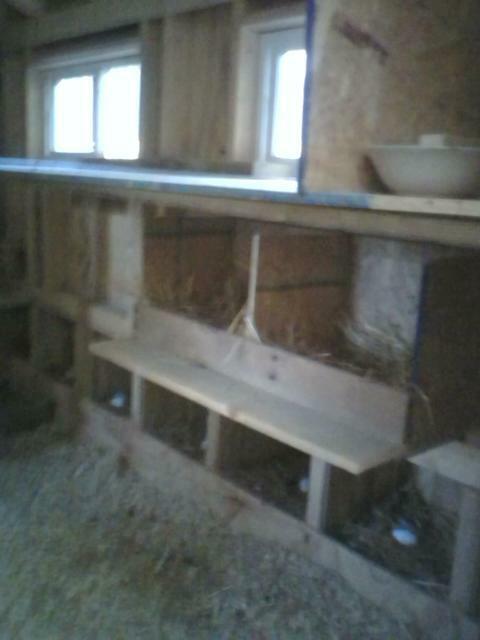 This is the current view of the inside of my coop. Starting from the left side and moving abound to the right side. I ran power for the fan and light and also to add a heater pan for a galvanized water dispenser. 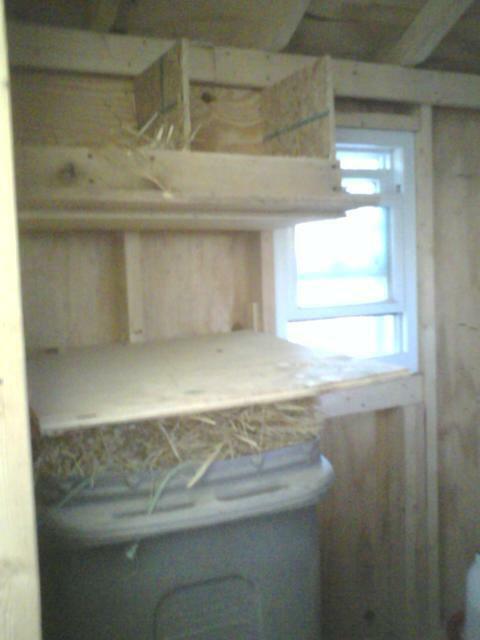 Lots of nest boxes which the girls utilize the one over the trashcan the most. 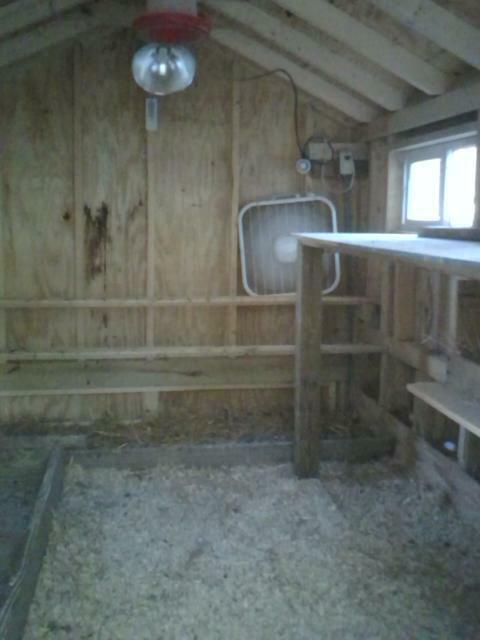 The also hang out and sleep on the plywood panel (right picture) with some girls on the roosts in the rear. 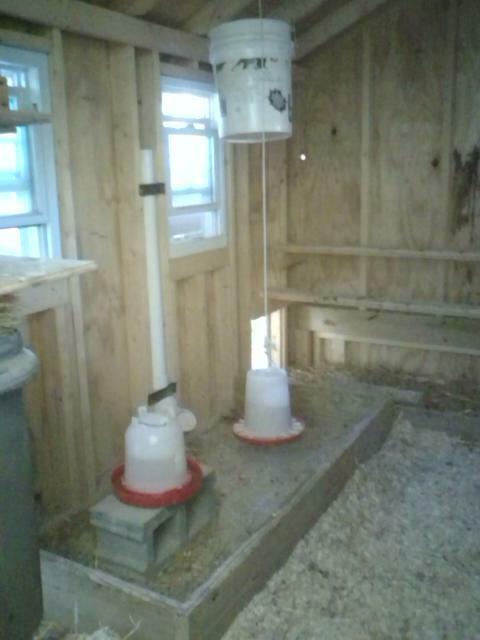 The pvc pipe between the waterer and feeder is my gravity fed oyster shell dispenser that is made out of 3 inch pvc and a couple of elbows. What are the measurements of the super run?